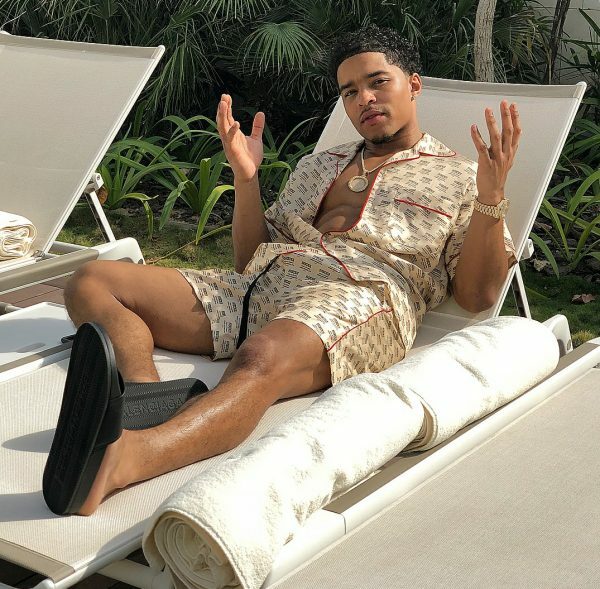 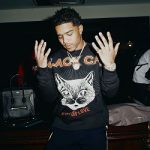 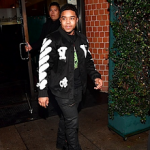 United Arab Emirates — UCLA grad turned socialite and businessman, Justin Combs was vacaying in Dubai. 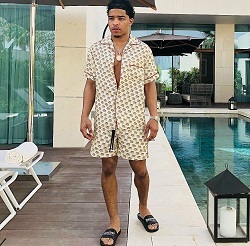 While there, Sean “Puff Daddy“ Combs‘ son was spotted poolside in a $1,200 Gucci All-Over Logo Stamp Shirt and the matching $980 Gucci All-Over Logo Stamp Silk Shorts. 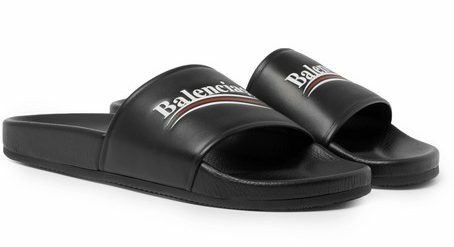 His outfit was accessorized with a pair of $595 Balenciaga Printed Leather Slides. 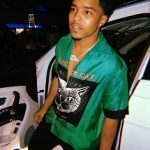 The shirt is available at SSENSE. 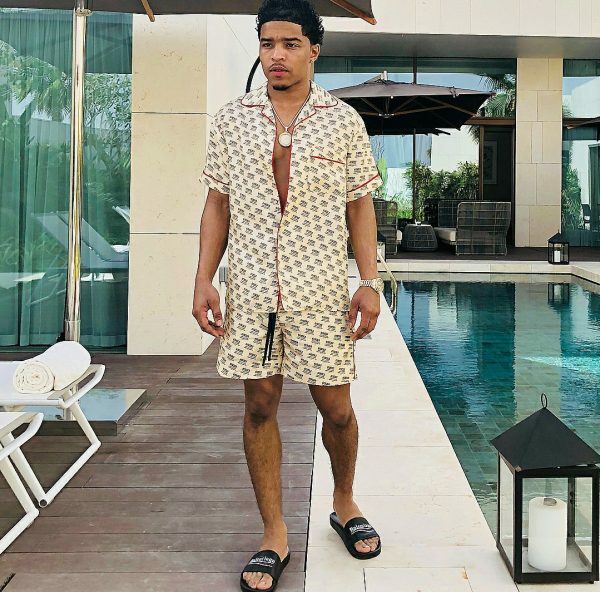 You could purchase the shorts at Gucci. 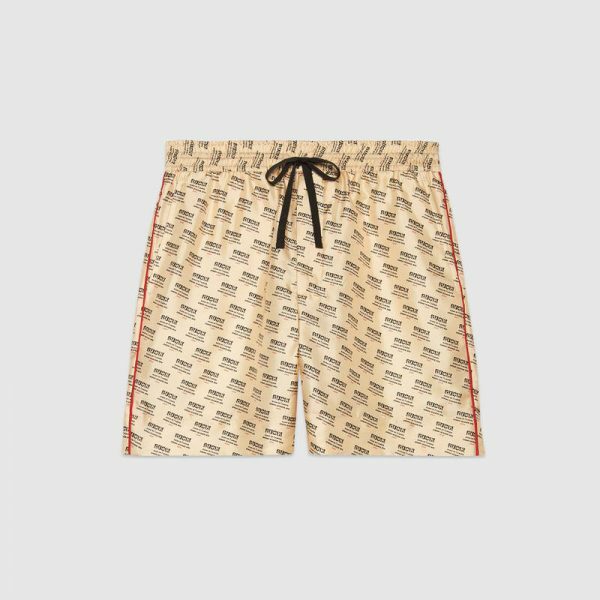 Get the slides at Mr Porter.